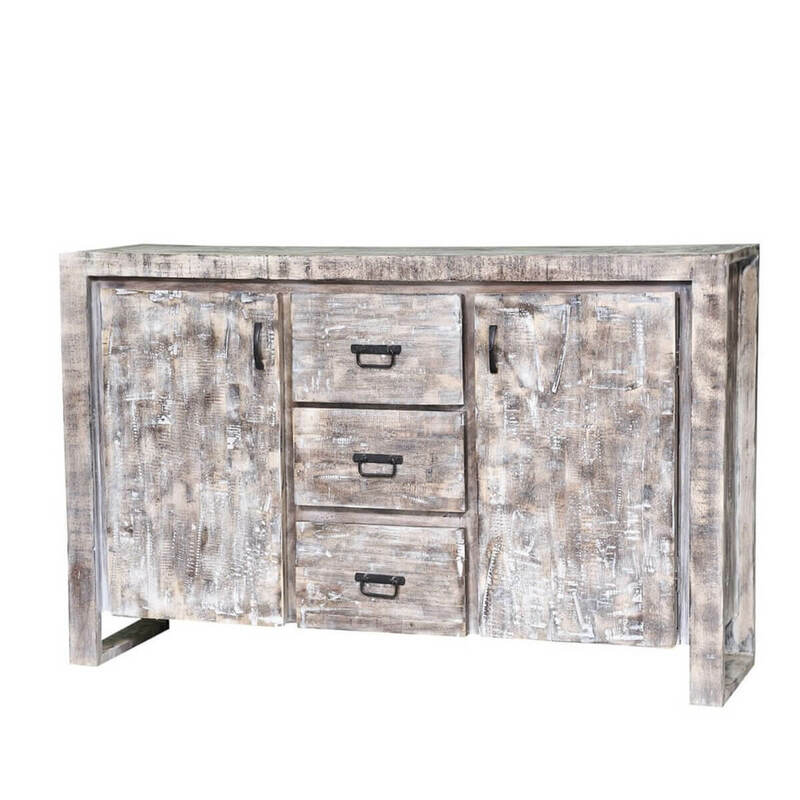 Stunning in presentation, the Wheaton White Wash Reclaimed Wood 3 Drawer Large Sideboard Cabinet creates a smart focal point in your transitional living or dining space with style, strength, and grace. 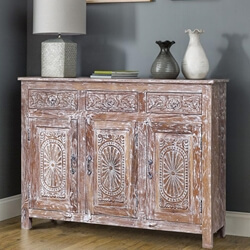 Far more than an entryway or dining room accent, this solid wood sideboard becomes a centralized place to serve your celebrated spreads as well as store fine china, crockery, cutlery, table linens, and other dining essentials. 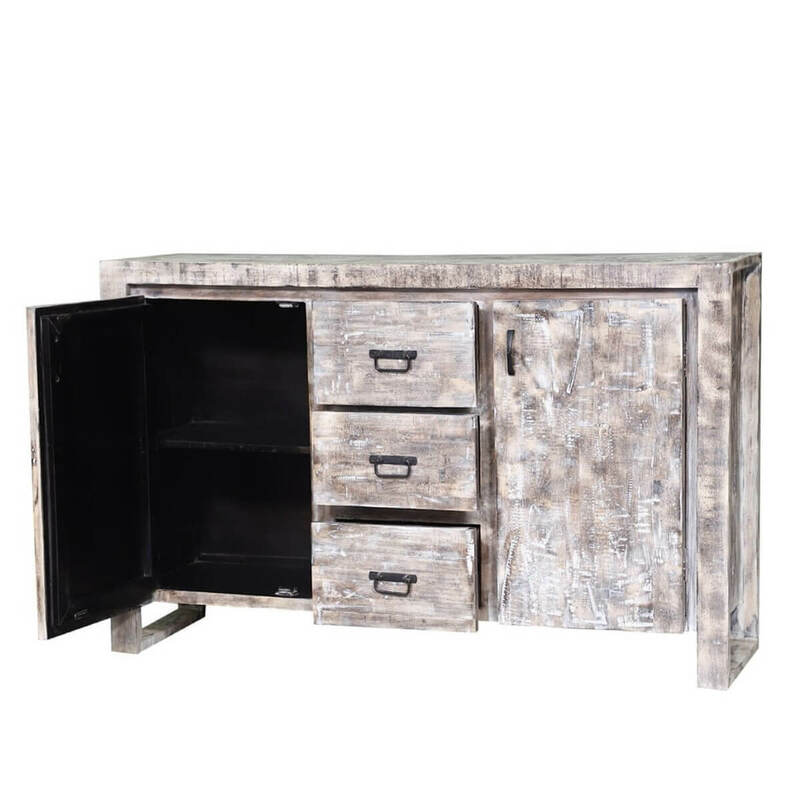 Two cabinet doors and three center drawers fitted with antique metal handles and pulls open to reveal a plethora of concealed storage. 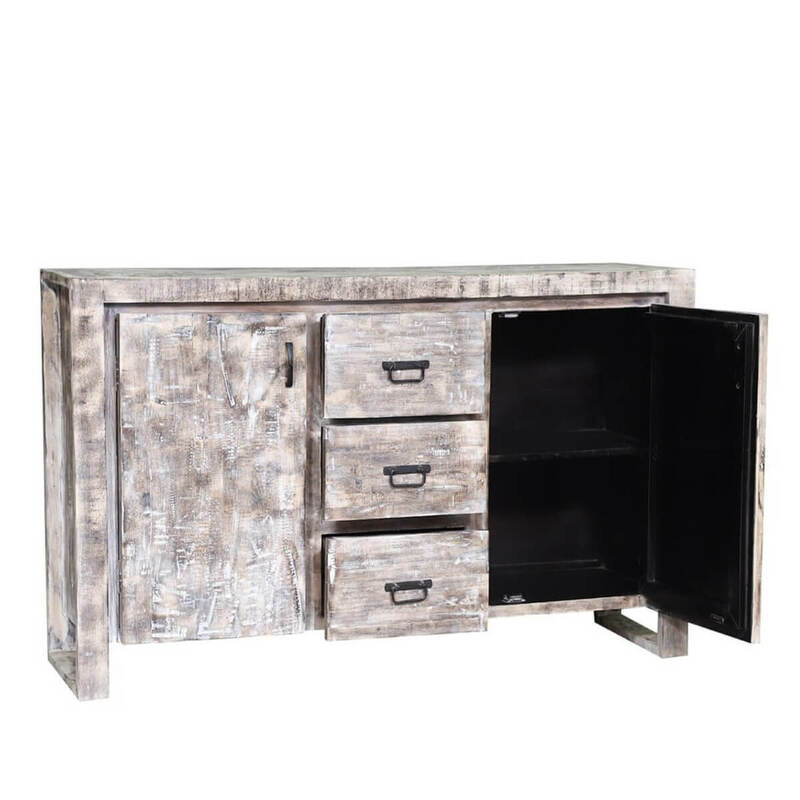 Its generous scale assures a spacious top that is just as perfect for setting up a mouthwatering buffet as it is displaying your carefully curated accents and lamps. 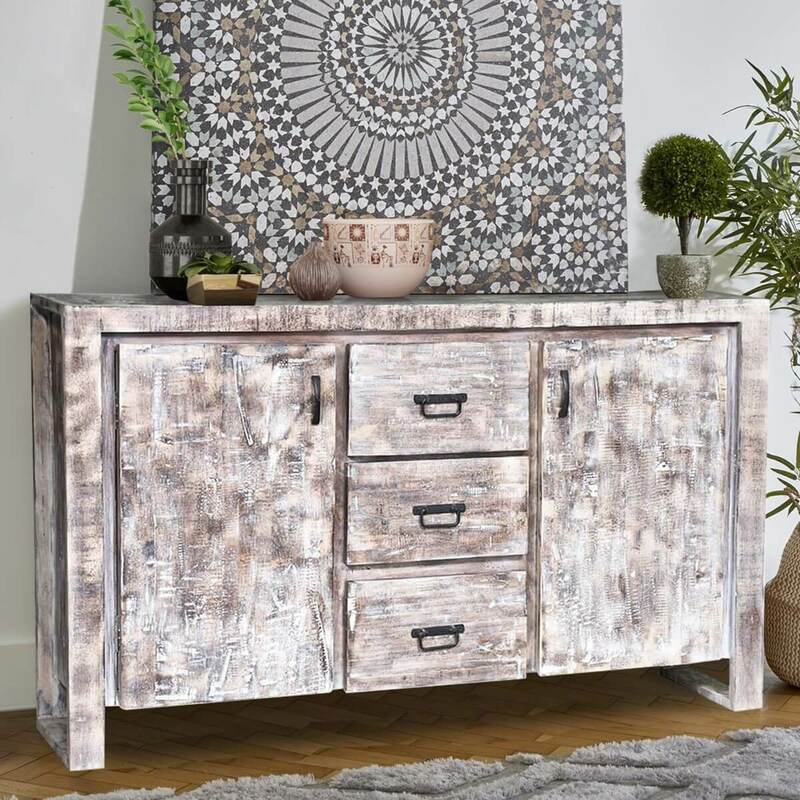 Founded atop a solid wood frame with sturdy boxed legs, this multipurpose freestanding cabinet is also useful for load bearing applications that supports smaller appliances for full kitchen functionality. 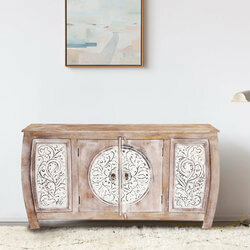 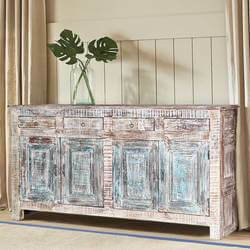 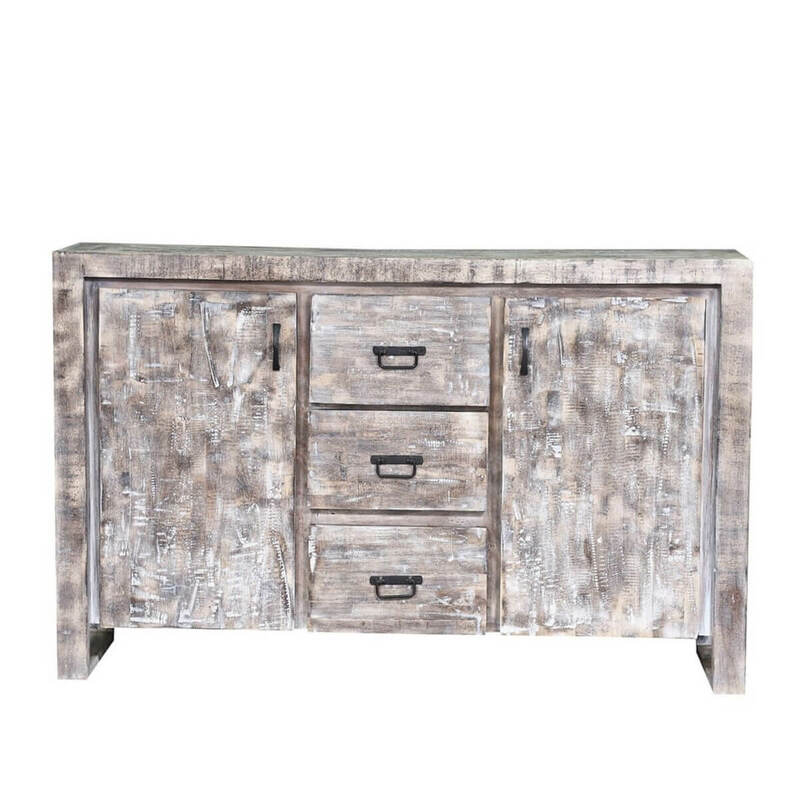 This large wooden buffet is beautifully distressed in a hand-applied whitewashed finish that enhances the wood's natural grain. 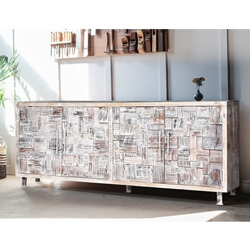 This authenticity of the wood's distinctive bands and grooves introduces a naturally aged feel as if the piece were plucked from the very heart of a primitive farmhouse or a French country cottage. 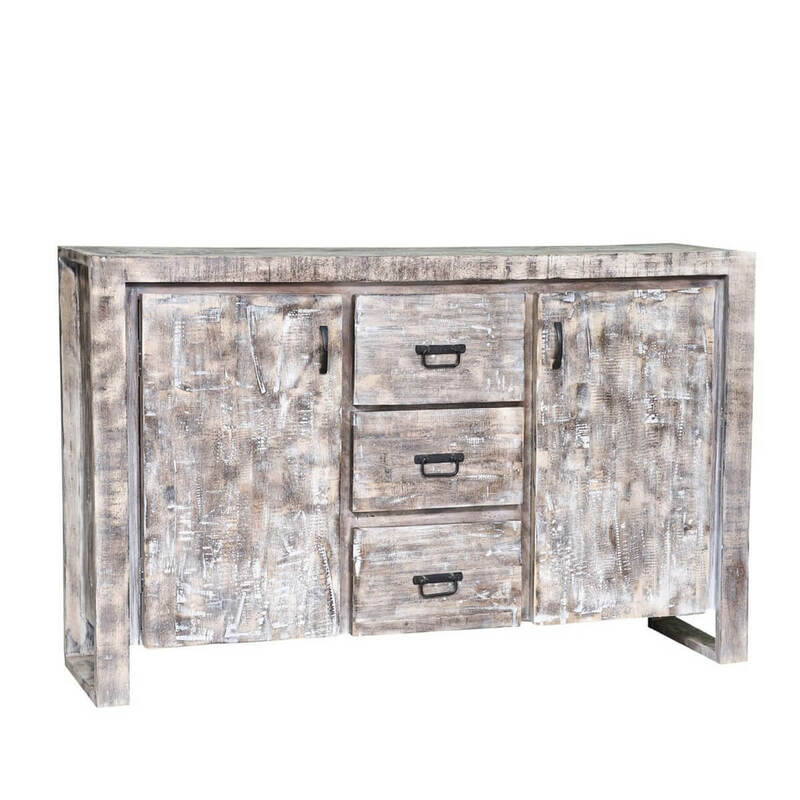 The weathered white hue of this reclaimed wood sideboard is met with contrasting black finish interior and rustic metal hardware that serves to add to its aesthetic, transforming this buffet into a piece that pushes the boundaries of ordinary.